With almost 20 years’ experience in providing the best in contemporary radiators, The Radiator Company can help you choose the perfect solution for your home. They have designs that are suitable for every room; Living rooms, Hallways, Kitchens, Bedrooms, Bathrooms and Conservatories. 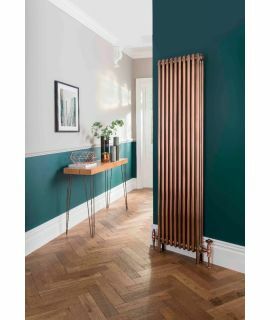 The Radiator Company was formed in 1998 and since then they have become one of the largest independent suppliers of design-led radiators in the UK and Ireland. Their success is based on their ability to keep developing their range of radiators, towel rails, valves and accessories to reflect the latest in design trends and technical developments.